Gluten Free Brownie Slices Baked with Dark Chocolate (19%), Dark Chocolate Chips (7%) and Ground Almonds (5%). Best stored in a cool, dry place, For best before see side of pack. 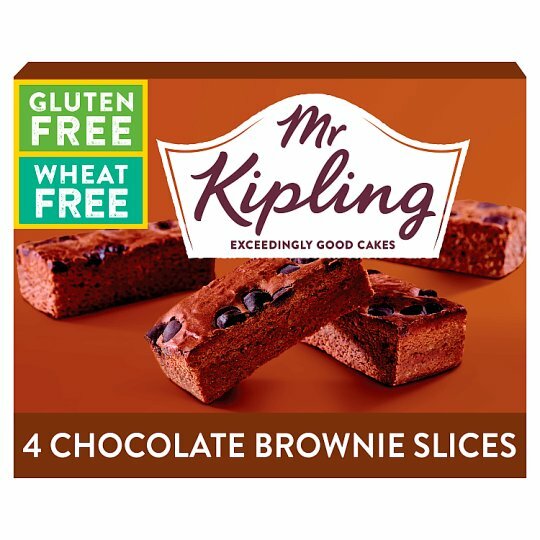 We want you to enjoy these Gluten Free Brownie Slices at their very best. If you are not completely satisfied, or if you have any questions or comments, please retain the packaging and contact our consumer care team. 0800 0223393 (between 9.00am and 5.00pm Mon - Fri).